Now for the really fun part. 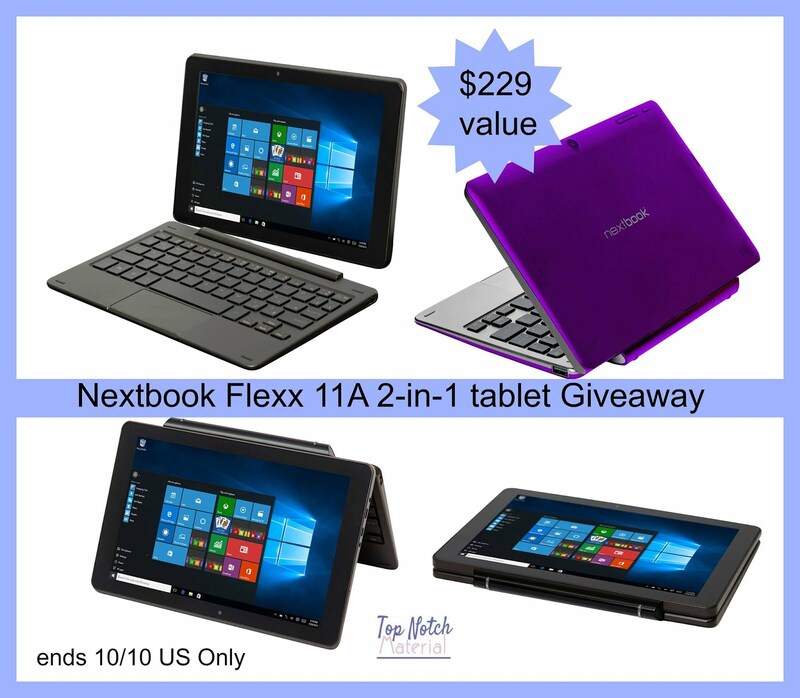 Top Notch Material teamed up with Nextbook for a giveaway of one Nextbook Flexx 11A 2-in-1 tablet. Follow the Giveaway Tools below for your chance to win. Reviewz & Newz is a promoter in this giveaway. and not repsonsible for choosing or shipping to the winner.